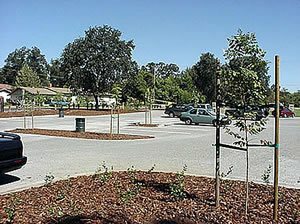 This parking lot installed in 2001 at Bannister Park, Fair Oaks, Calif., is the first in the state to use pervious concrete. The Sacramento Cool Communities program was a partner in the project, which used pervious concrete for stormwater management and to reduce the urban heat-island effect. In about 10 years, the trees will shade more than half the lot. Recycled Concrete Aggregate. 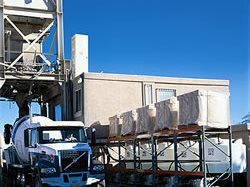 Photo Courtesy of Portland Cement Association. Ability to retain stormwater. Paved surfaces tend to be impervious and can block natural water infiltration into the soil. This creates an imbalance in the natural ecosystem and leads to problems such as erosion, flash floods, water table depletion, and pollution. 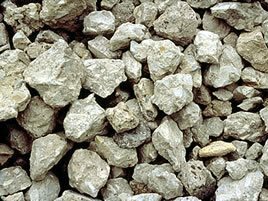 Pervious concrete is a special type of structural concrete with a sponge-like network of voids that water passes through readily. When used for driveways, sidewalks, parking lots, and other pavements, pervious concrete can help to retain stormwater runoff and replenish local water supplies.